Roald Amundsen was built in 1952 in Roblau/Elbe as a NVA tank logger for the former GDR’s National People’s Army. 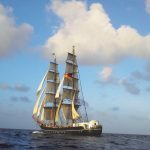 In 1992, the boat builder Detlev L ll and his friends from the society `Learn to Live on Sailing Ships` turned her into a brig as part of a programme against unemployment. 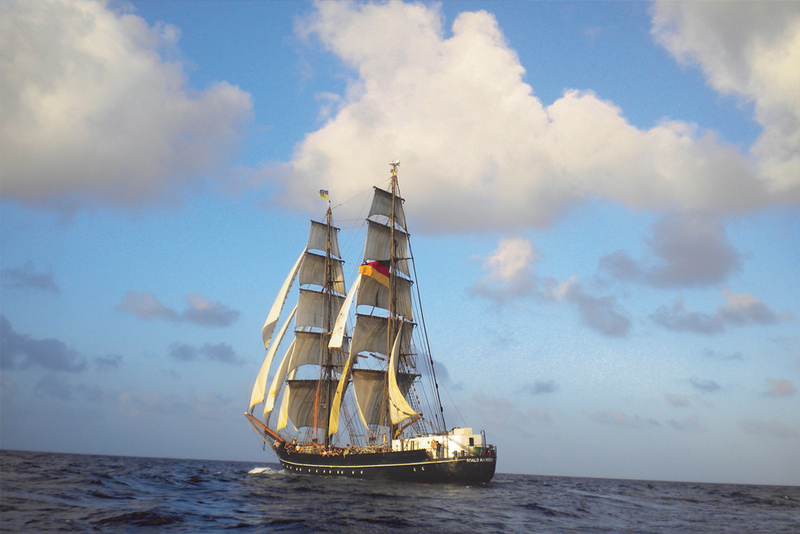 Roald Amundsen made her first voyage in 1993 under the command of Immo von Schnurbein, a former captain of the German Navy sailing ship, Gorch Fock. Although the Roald Amundsen offers no luxuries, she is well equipped with the latest communications and safety equipment on board. 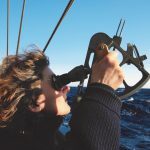 She has participated in the Tall Ships’ Races on several occasions including the race from Cadiz to Amsterdam in the Tall Ships’ 2000 Transatlantic Race. A Tall Ship with a tall mission. Roald Amundsen is a Tall Ship entirely run by volunteers. Volunteers run her, crew her, and maintain her. One core value is to keep up and hand down traditional seamanship. Furthering new friendships that cross national borders and generation boundaries. 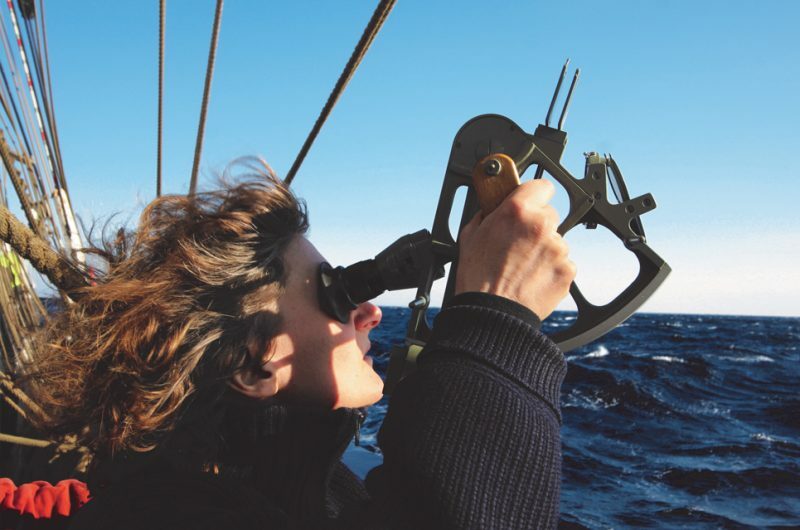 We see sailing as a challenging and educational activity. Incidentally, it is fun as well. Everybody on deck is part of the crew. Regardless of age, gender, status, whether as a member of the regular crew or as a first-time trainee. Trainees are becoming a REAL part of the crew: introduced to each and every aspect of sailing a square-rigger, without ever neglecting the safety. Welcome aboard the brig Roald Amundsen. 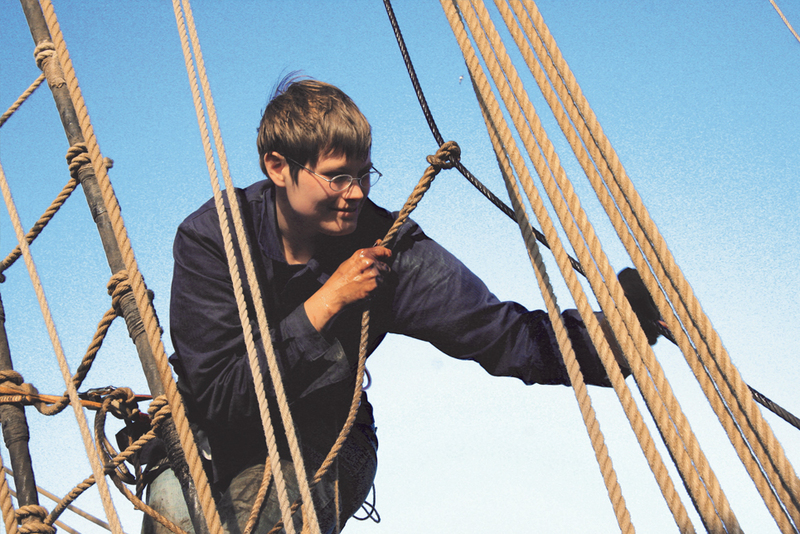 Experience the whole crew sailing our ship – in accordance with traditional seamanship. What to expect: you'll be part of the crew! Trainees are involved in everything that the regular crew does in order to move and maintain the vessel. As a trainee, you can rely on the crew to prepare you for the tasks at hand and to teach you the necessary skills – this is one of our most prominent functions. 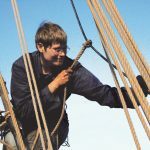 Yes, this includes all matters, be it unpacking the sails, hoisting and manoeuvring under sails or in port, watch duties or seemingly profane or mundane challenges as cooking for 30-odd people on board or the everyday cleaning challenge. Teaching and learning traditional seamanship and old salt's skills has a tall message written between the lines: encourage "Learning by Doing" and build social skills, bridge cultural and age barriers, and teach responsibility, team building and environmental awareness. Sailing a Tall Ship is teamwork, the experience of nature, adventure and challenge. The experience of sailing and the day-to-day life aboard a ship has a positive impact on many of your skills – last but not least your social skills. All that we ask from our trainees is open mindedness.